It’s 2016, which means you don’t watch movies or listen to music the way you used to. Rather than blasting tunes from a boombox, you have Spotify and iTunes. And between Netflix, YouTube, Amazon Instant, and Google Play, you can’t remember the last time you actually cracked open a DVD case. Still, you probably have a mountain of old CDs and DVDs sitting somewhere in your closet. So what should you do with them? Do you keep them? Sell them? Store them? Recycle them? Below, we’ll lay out all the pros and cons to keeping old CDs and DVDs. Then, we’ll give you some tips on selling and storing CDs and DVDs, in case you still want to keep them. Don’t let your tech-savvy friends call you a hoarder for clinging to your CDs and DVDs. There are plenty of totally sane reasons for keeping them around. First and foremost? The fact that you don’t actually “own” any digital music or movies. It doesn’t matter if you bought an album fair and square off iTunes or purchased a movie on Amazon. In all these transactions, you’re technically just paying money to license that media. Think of it this way: If Apple, Amazon, or Google was wiped off the face of the earth tomorrow, would you still be able to play and/or stream the stuff you’ve bought from them? No you wouldn’t, because any music or movies purchased from those platforms is entirely linked to and restricted by the seller. If those sites are down, you can’t access your media. And if they decide you’ve maxed out your copyright privileges, well, there’s nothing you can really do about it. Seriously, this has been decided in a court of law. Read up on the Capitol Records v. ReDigi decision. Then there’s quality. When your WiFi connection is spotty, it’s bound to distort the frames on the movie you digitally rented, or skip tracks on the new album you’re streaming. Unless there’s a scratch or smudge on the discs you own, this isn’t an issue with physical copies. Another factor to consider? Your kids. As Forbes argues, parents can’t rely on digital media to entertain their children, especially during travel when they need it most. Depending on in-flight WiFi is a fool’s game, and you’re bound to lose a signal when you’re driving through the country. Portable DVD players — or ones built right into the mini-van — are the only sure bet for parents committing to several hours in the air or on the road with their toddlers. Serious movie nerds should also pause before chucking their prized DVD collection. Certain films are insanely hard to find online. For instance: absolutely everything from animation icon Hayao Miyazaki. Fans of Howl’s Moving Castle, Spirited Away, and Princess Mononoke have long lamented that it’s impossible to find these foreign flicks online. It’s one of the main reasons a Senior Editor at CNET said he regretted ditching his DVDs. And the same goes for classical music geeks. As The Atlantic and The New Yorker have argued, digital music platforms like iTunes and Spotify give the short shrift to classical tunes. The tagging and track data on these tracks makes little to no sense, making it unnecessarily difficult for fans to organize or just locate their favorite compositions. Sure, licensing laws are aggravating. But you know what else is frustrating? Losing valuable storage space to a mountain of CDs you haven’t played in years. 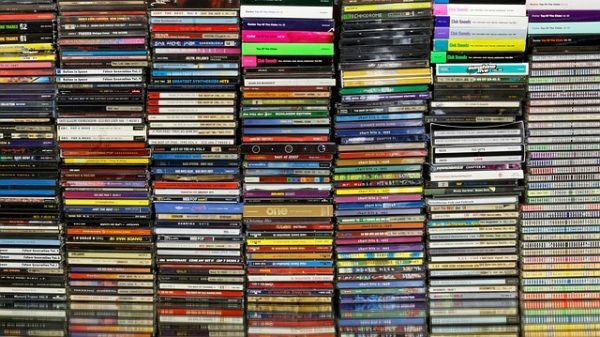 The simple fact is physical media takes up room, and considering how many people do solely listen to music on Spotify or strictly watch movies on Netflix, it can be hard to justify keeping around all those old Blink-182 albums. Plus, current technology is leaving CDs and DVDs in the dust. Computers have been slowly phasing out disc drives since at least 2008, when Apple debuted its sleek and skinny MacBook Air. It felt like air because it was missing a clunky CD slot, and pretty soon, Apple was striking disc drives even from its iMac. Sony followed suit. And why wouldn’t they? Services like Google Drive were already encouraging users to keep their documents, videos, music, and pictures digital. Here’s another problem: Discs don’t last forever. As NPR explains, there’s such thing as “CD rot.” This can happen when the outer layer of the disc erodes, exposing a silver layer beneath. Once that silver is exposed, it tarnishes — and tarnishing can fundamentally alter the sound. 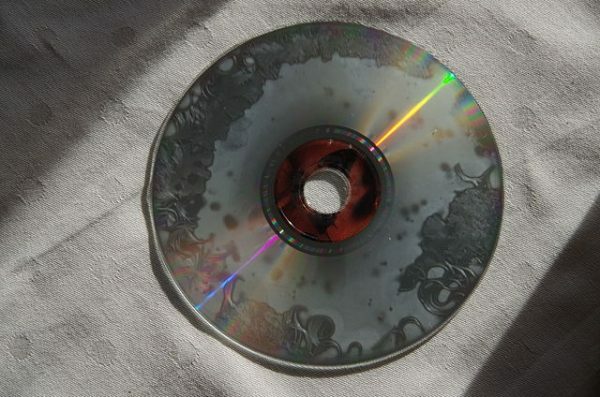 Discs with this kind of damage can crackle and cut out completely. Although it may be hard to believe in 2016, there is still money to be made off CDs and DVDs. Take Decluttr. According to Fast Company, the company has raked in several million dollars, and it’s done so with a simple promise: to buy any old CD, DVD, or video game you send in. Decluttr even pays for postage. Or you could patronize Amazon Trade-In. Simply send in your used discs and you’ll get a gift card in exchange. Shipping is covered, you get an immediate offer, and there is no registration or formal listing required. 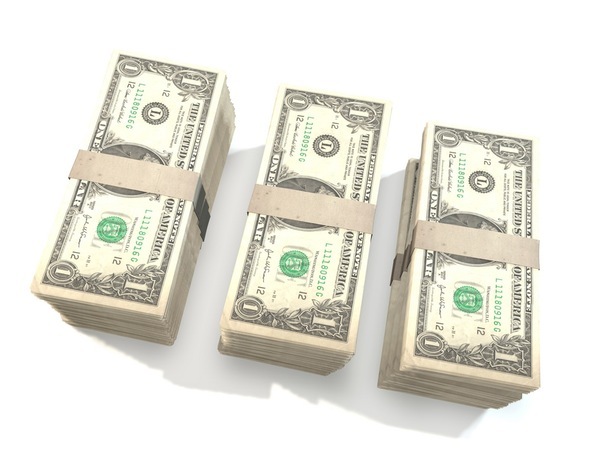 SecondSpin and CashForCDs offer similar services. But if don’t like the price quotes you’re getting online, you can sell locally to record shops. Or you can try selling your used CDs and DVDs (and other things you don’t want in your home) on Facebook’s new Marketplace. 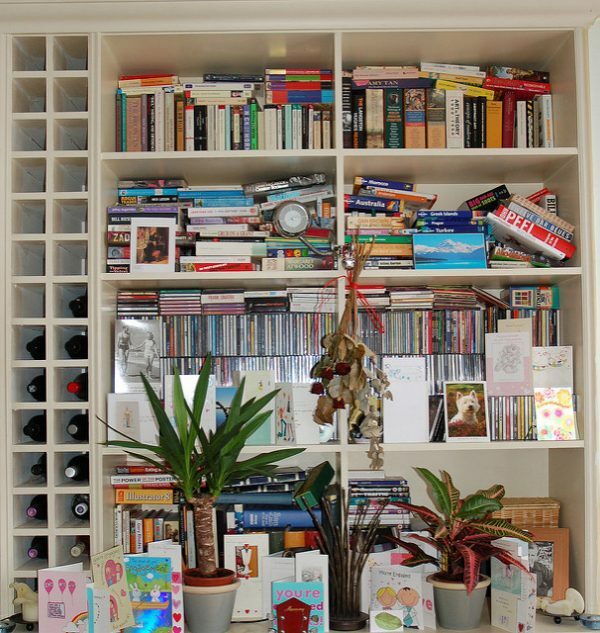 Ok so maybe you still want to keep all or some of your old CDs and DVDs for whatever reason. Don’t just toss them in a box or in a plain rack. Store them in style. Store your CDs and DVDs in a wallet or binder. These CD/DVD wallets and binders can store anywhere from 24 to 400 discs. And if you like, you can slip some of the cover art from your original cases into each disc’s sleeve, so you can easily differentiate between your Alanis Morrisette and All-4-One albums. Store your CDs and DVDs against the wall to save floor space. You can also literally spell out your passion for cinema by following this film-themed shelving spin from IKEA Hackers. Or let MakeSpace store your CDs and DVDs. You might be reluctant to give up your old movies and music. But you can’t deny they’re taking up way too much space in your place. Instead of hoarding them in your friend’s garage, entrust your CD collection to the storage experts at MakeSpace. Simple schedule a pickup, pack your DVD and CD collection, and we’ll take care of the rest. We’ll come get your stuff (whether that’s CDs, DVDs, or spare furniture) and store them in our secure, temperature-controlled storage facility. We’ll also create an online photo catalog of your stuff so you never forget what you have in storage. Even better, when you want something back from storage, just log into your MakeSpace account, select the item’s photo, and we’ll deliver it to you. It’s as easy as pressing Play.